Magneton in game: 1,295 Who? Important notice! Pokemon Magneton is a fictional character of humans. 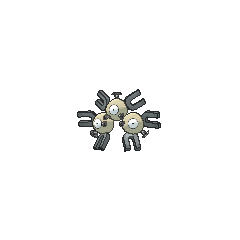 Magneton is the result of three Magnemite being linked together by a strong magnetic force, although a single Magnemite can evolve by itself when no other Magnemite are in the vicinity. 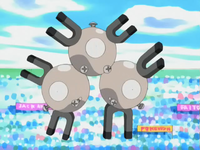 The three Magnemite that Magneton consists of can be linked several ways. 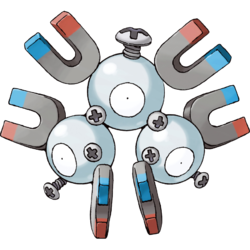 Magneton is most commonly seen as one Magnemite on top, and two Magnemite linked via body on the bottom, forming a triangle. However, in some cases, commonly seen in 3D Pokémon games, the Magnemite will not be connected at all, remaining in a triangular formation at rest, and being able to freely move within each other's vicinity to form other patterns. The magnetic forces that holds the three Magnemite together is powerful enough to dry up all moisture and raise the temperature 3.6 °F (2 °C) within a 3,300 foot (1,000 m) radius. It can also be disruptive to electronic devices. Even though Magneton is a mechanical creature, it still has the need to eat. As seen in the anime, food for Magneton consists of electrical currents. It is usually found in rough terrain, often near power plants. When sunspots flare up, Magneton tends to appear more often, presumably due to the changes in the sun's magnetic field. It has been shown in the manga that it possesses the ability to form its electricity into both platforms and barriers. Despite its modern, artificial appearance, carvings depicting Magneton have been discovered at the Ruins of Alph, and one was shown in a flashback to the great war of Kalos, indicating it has existed for at least 3000 years. Clemont owns a Magneton which he keeps at the Lumiose Gym so Clembot can use it for Gym Battles while he is away. It first appeared in Clemont's Got a Secret! 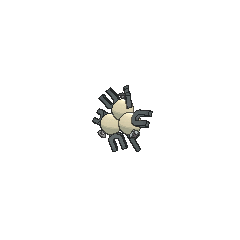 where it was shown to be able to separate itself into 3 Magnemite in order to dodge attacks. Several Magneton attacked a Pokémon Center in The Poké Spokesman, but the Poké Spokesman was able to calm them down and stop the attack. A group of Magnemite and a Magneton appeared as security guards in Current Events. Ash was attacked by the Magnemite, but when Ash retaliated with his Chikorita, a Magneton showed up and attacked. Jackson used a Shiny Magneton against Ash during the Silver Conference in Tie One On!. It proved to be very strong, knocking out two of Ash's team members. Wattson used a Magneton in his brief Gym Battle with Ash in Watt's with Wattson?. Several wild Magneton appeared later in the episode. 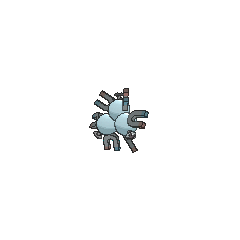 In All Torkoal, No Play!, Magneton was one of the Steel-type Pokémon in Steel Valley picking on a wild Torkoal. An army of Magnemite and Magneton appeared in Giratina and the Sky Warrior under the ownership of the main villain, Zero. A Magneton appeared in Confronting the Darkness! under the ownership of Belmondo. A Magneton appeared in Mewtwo Strikes Back, The Power of One, Lucario and the Mystery of Mew and A Campus Reunion!. A Trainer's Magneton appeared in a photo in the Palace of Victory in Hello, Pummelo!. Several Magneton were among the Electric-type Pokémon that were lured by the "Miracle Crystal" that Attila and Hun were using in The Legend of Thunder!. A Coordinator's Magneton appeared in Harley Rides Again participating in the Wisteria Town Pokémon Contest. A group of Magneton appeared in Saving the World from Ruins! among the numerous other Steel types on Iron Island. Four Magneton appeared in The Future Is Now, Thanks to Determination!. A Magneton appeared during a flashback in The Redemption as one of the many Pokémon fighting in the great war of Kalos, 3000 years previously. Magneton makes their debut aboard the S.S. Anne in Danger: High Voltorb as one of Lt. Surge's Pokémon ready to attack Red. However, later in Buzz Off, Electabuzz!, some of them tortured Red with Thunderbolt. Lt. Surge uses two on his shoulder pads in Go for the Golbat where they produced sonic booms that act as a defensive barrier. 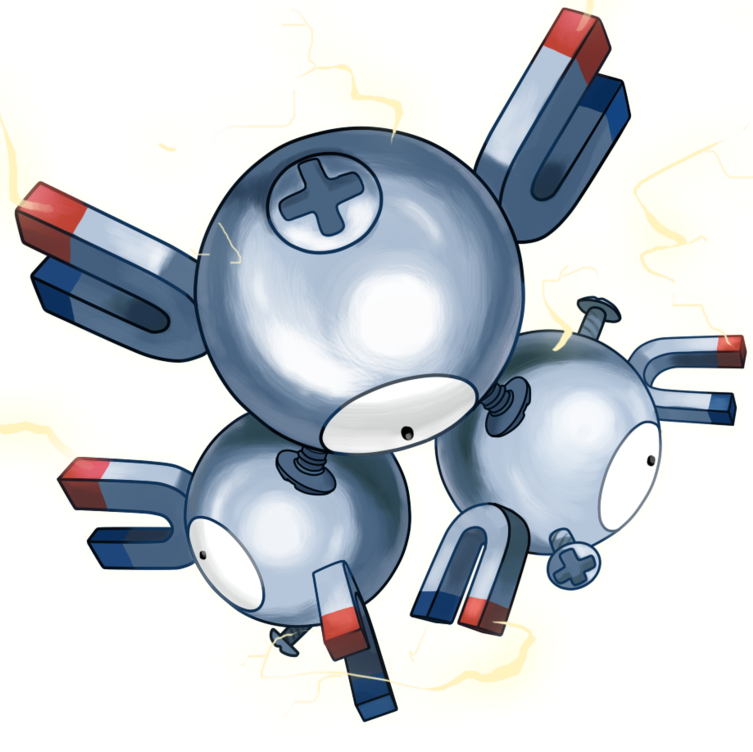 Lt. Surge has a squad of Magneton, capable of using electromagnetism to create a tetrahedral aura. This aura is able to ferry people as well as attack and trap anything within, as seen in Volumes 3, 7, 10, and 12. A wild Magneton appeared in Electro Magneton where it and three Magnemite attacked Blue and Evan, Blue used his Machamp to defeat it. 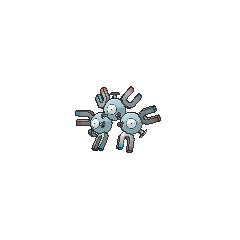 Another Magneton is shown as a member of Wattson's team. Cyrus was briefly shown with a Magneton before it evolved into a Magnezone in Mt. Coronet. The more Magneton in the puzzle area, the more damage. Magneton, along with its pre-evolution Magnemite, were pure Electric-type Pokémon in Generation I, but became dual-type Electric/Steel in Generation II. This makes them the first Pokémon to ever change typing, and the only ones to do so until Generation V when Rotom's formes were given additional typing.